What can YOU do with Tec7 Roof ? Preparation:Surfaces have to be clean and free from snow and ice. Finishing:Finish off with brush or filling-knife, moisten with Tec 7-Cleaner. Application:Apply with a brush. Larger repairs can be provided with an extra reinforcement tissue. 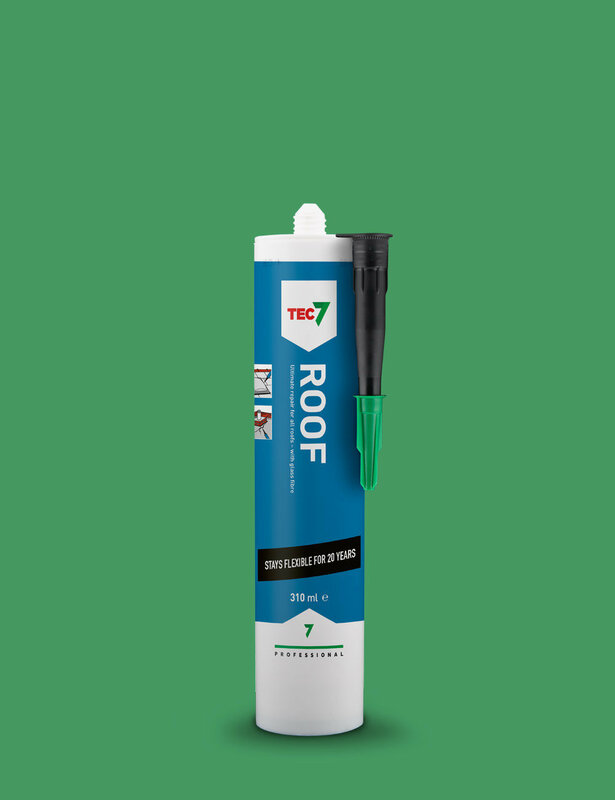 For filling up joints, we recommend the Tec7 Roof cartridges. Finishing:Smooth down with a filling-knife, moisten with Tec 7- Cleaner.